An exciting new way to entertain! You've thumbed through flipbooks before, but did you ever think you could be in one of your own? Now you can with The Laugh Box Flipbooks, the newest and hottest rage in custom party favors. We take a short video clip, print, and create a 60-page flipbook in under 60 seconds. Simply amazing! For a greater customized feel, the optional green screen allows us to display your logo, party theme, or backdrop. We understand that it is those little touches that will make your event truly memorable. Introducing our revolutionary service called The Laugh Box Hashtag Photobooth! This social media-based service allows your guests to take photos using their own mobile phone/device, tag them on Instagram or Twitter using a specified hashtag, and in moments, their photos are automatically printed at our photostation*. Your guests no longer need to stand in long lines. They can take photos at any time and at any place which ultimately means more photos than a standard photobooth can produce! As a result of the built-in social media component, your events, products, brands, and organizations gain greater visibility the more your guests tag their photos. We've come a long way from our pipe and drape photobooth we designed and built back in 2008. 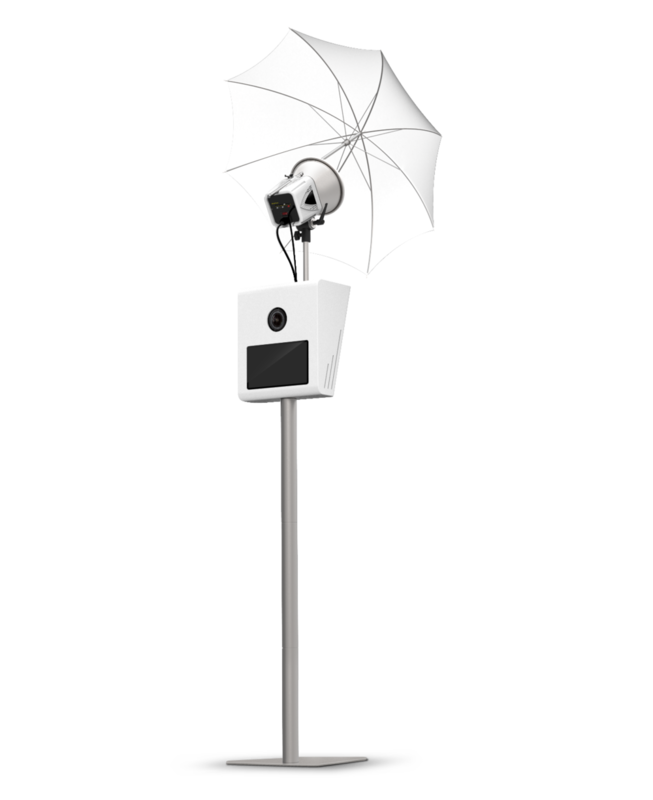 We've since replaced that system with a much more sleek, minimalistic, and beautiful photobooth we call The Laugh Box Lite Photobooth. Our open-air setup allows more of your guests to fit into the photos without having to squeeze them into a booth. And with such a small footprint, we can set up even in the smallest of spaces.